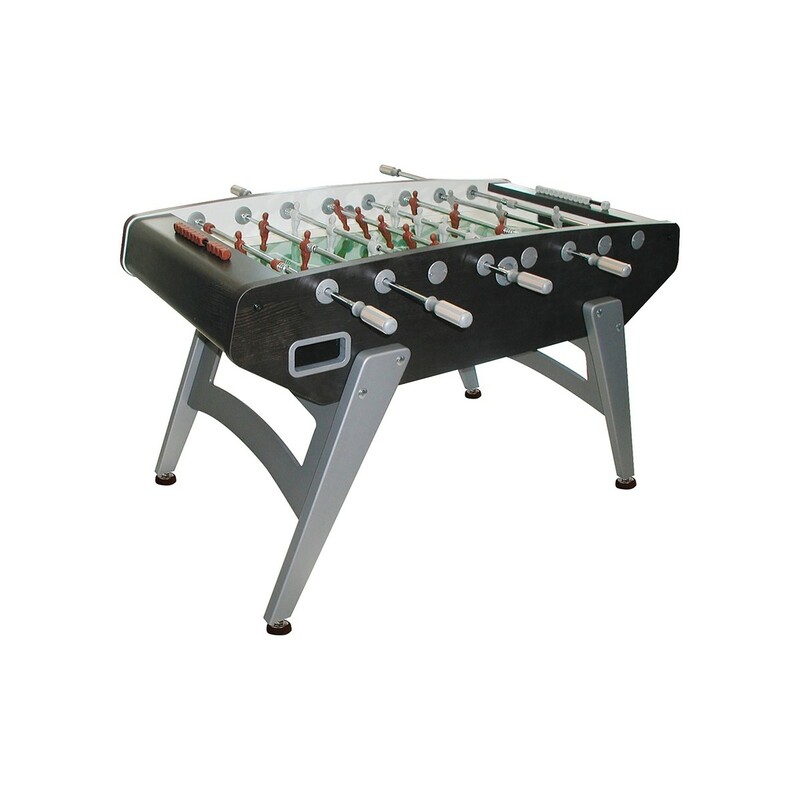 Dimensions 59" x 30" x 36"
The Garlando G-5000 Foosball Table is the top-of-the-line non-coin operated model. 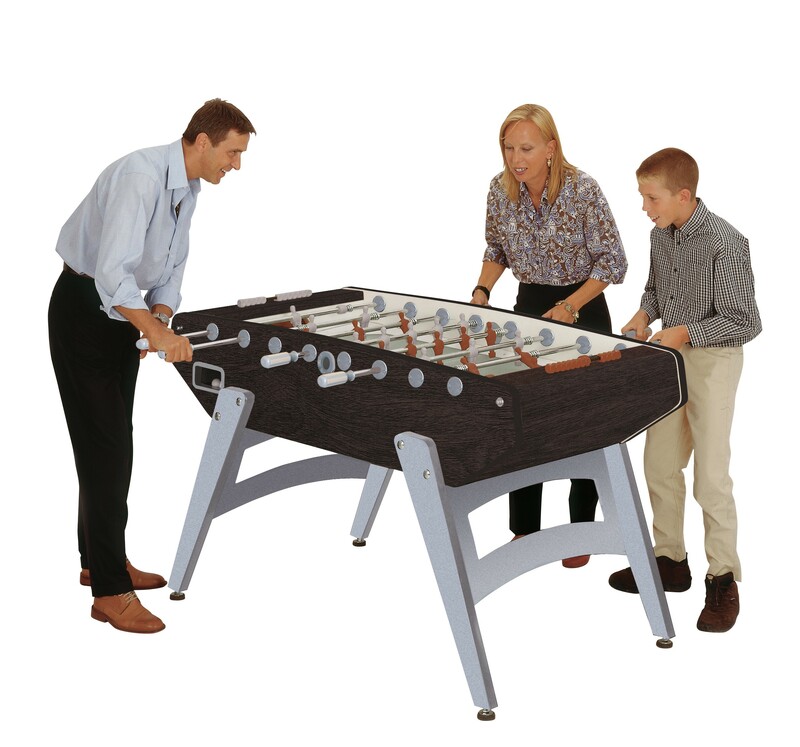 This table is constructed with the highest quality materials to ensure years of competitive play. The table has 1 1/2- inch thick cabinet walls with a plastic laminate finish to keep the finish looking great for years. The playing field is a plastic laminate with green background and white lines to look like a soccer field. 1 1/2 - inch thick, lacquered beech wood legs are slanted to provide great stability. 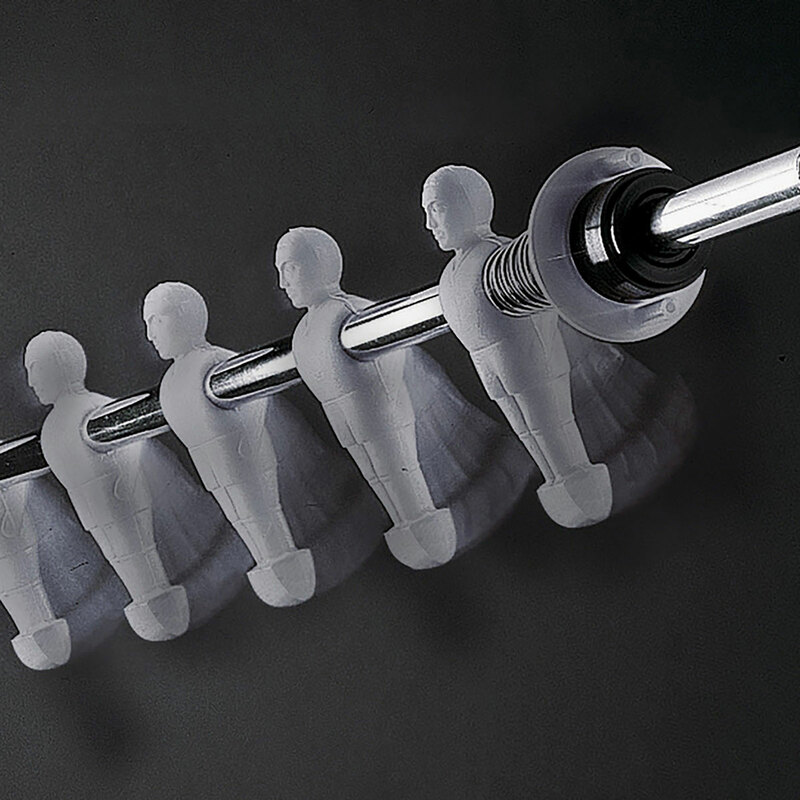 Telescoping rods are made of 2/3" diameter stress resistant steel with an anti-rust chromium-plating. Steel roller bearings improve game speed while reducing wrist stress. 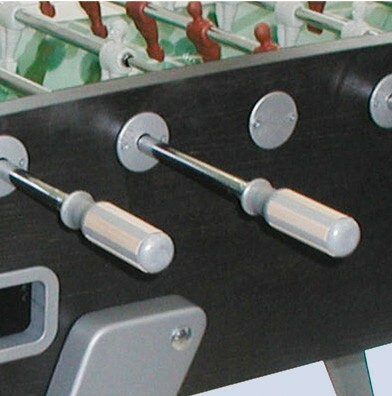 Grey and brown players are made of unbreakable plastic that are molded onto the bars. 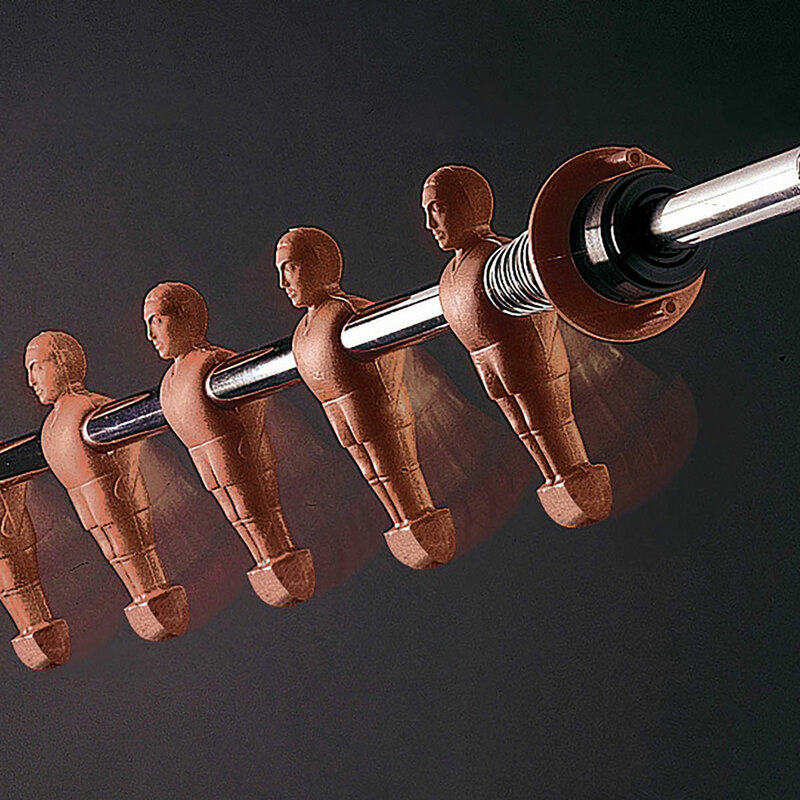 Professional plastic handles with wooden inserts are designed to reduce perspiration and improve grip. 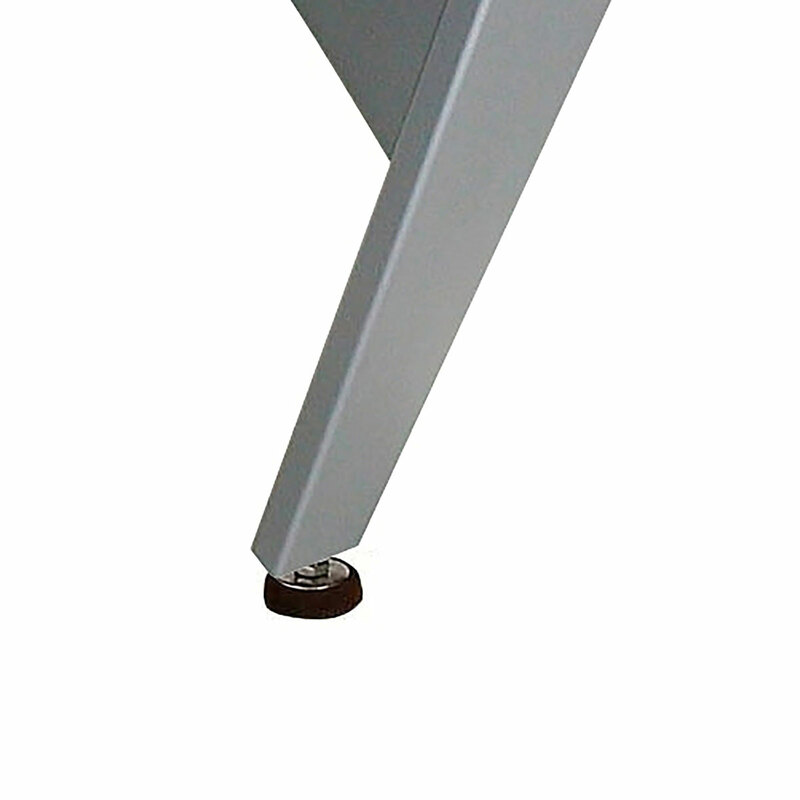 Other features include inside goals coated with felt material to reduce noise and prevent ball chipping and bouncing off, easy quick ball retrieval through returns on both sides of the cabinet, and leg levelers to provide a perfectly flat playing field. Includes 10 standard white balls. Dimensions: 59" x 30" x 36"